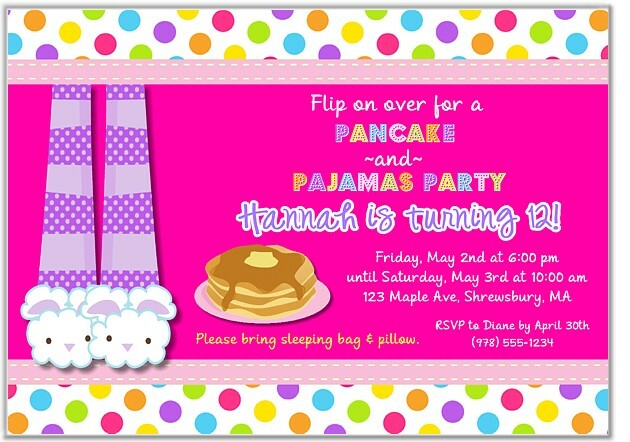 Pancakes and pajamas birthday party invitations. These adorable girls birthday invitations are perfect for a pancakes and pajamas or slumber party. They're brightly colored with multi colored polka dots. These are printed using a high quality laser printer and the finished party invitations are affordable and of outstanding quality!